Will Strongstaff has achieved far more than he ever thought. He is a gentleman. He has land, a wife and children. Yet he is still a warrior. He still has an oath to honour. King Richard is now under the sway of the evil Earl of Oxford Robert de Vere. When the King’s cousin, Henry Bolingbroke, sends for Will to fight in Galicia for his father, John of Gaunt, then Will has to return to the world in which he grew up, the world of the hired sword. 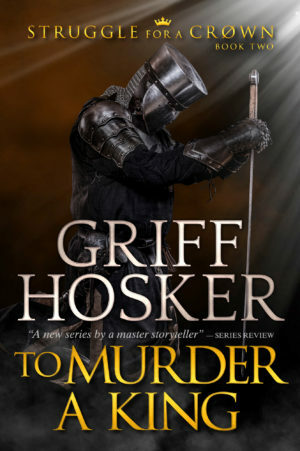 This time he not only has enemies on the battlefield but enemies closer to hand as murderers try to end the life of his new lord, Henry Bolingbroke.